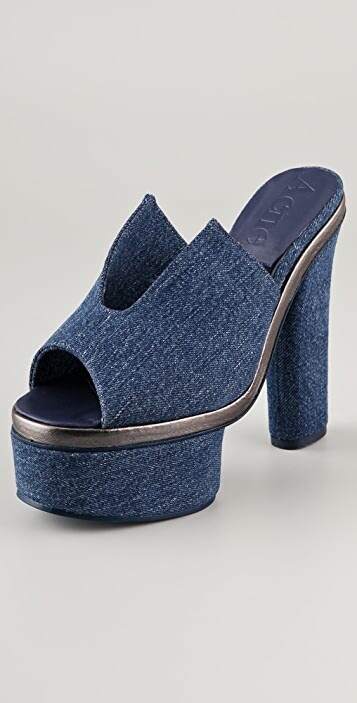 These denim open-toe platform mules feature a covered platform and a chunky heel. 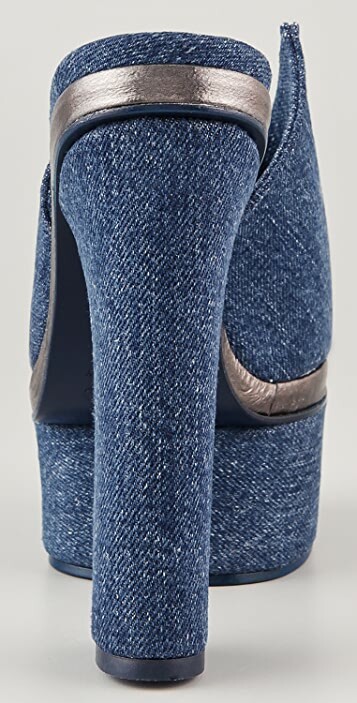 Subtle sheen at metallic trim. 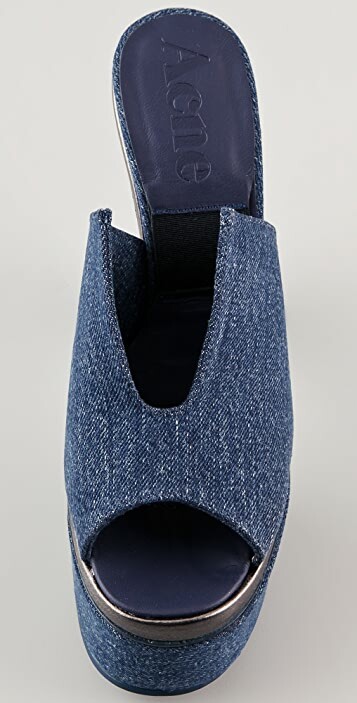 Elastic inset at Springolator footbed keeps mules from slipping while you walk. Leather sole. * Heel: 5" (130 mm). 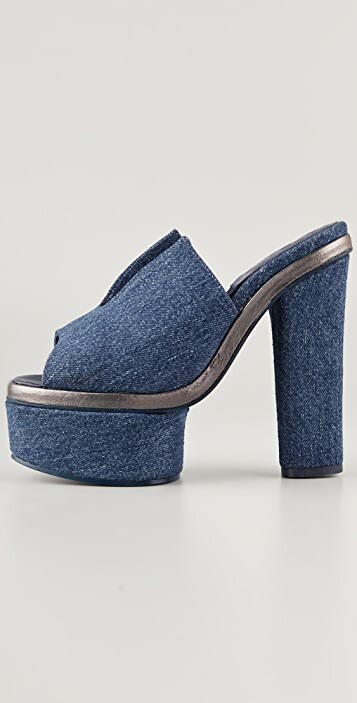 The platform is high , but they are very comfy, look exactly as pictured.